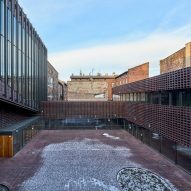 Hollow clay bricks form the gridded facade of this faculty building at a university in the Polish city of Katowice, providing privacy and shade to the interiors while still allowing light to enter. 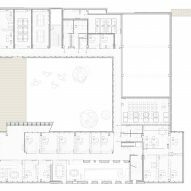 The Department of Radio and Television building was designed for the University of Silesia by Warsaw studio Grupa 5 Architekci, Barcelona firm BAAS Arquitectura, and local office Małeccy Biuro Projektowe. 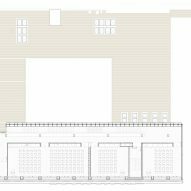 The project team won a competition with a design that seeks to seamlessly integrate the new facility into the existing historic streetscape. The building completes the existing block and echoes the massing of the neighbouring tenements. 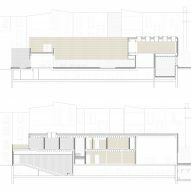 Its street-facing elevation wraps around a preserved section of a traditional multi-family home to increase its sense of connection with the past. 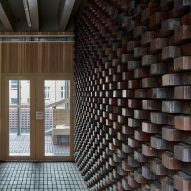 "The biggest challenge was acknowledging the beauty of the damaged ancient fabric… and inviting it to co-create new space," said the project team, "be it through its incorporation into the new building or opening up the views and glazed surfaces towards interior courtyards and outhouses of the neighbouring buildings." 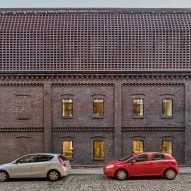 Materials chosen for the building's exterior match the existing palette found along the street. 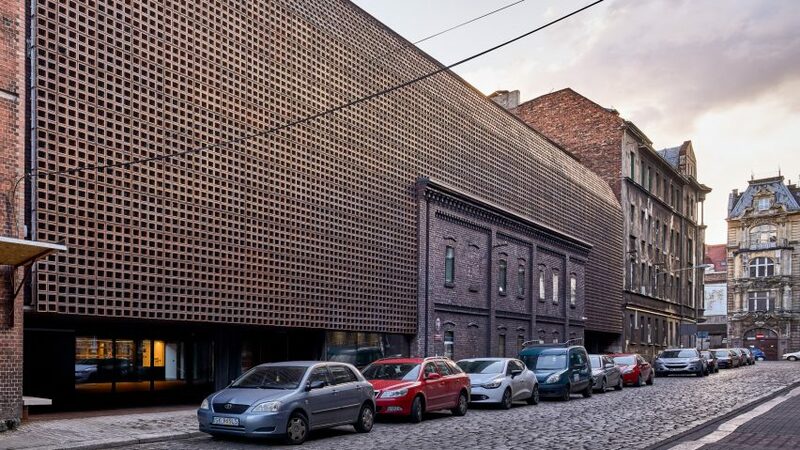 The facade is formed from hundreds of openwork ceramic blocks that tonally match the brick of the existing structures. 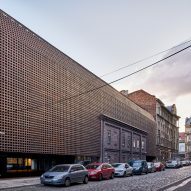 "External openwork serves as a kind of a 'net curtain' – a screen that has been put onto the building," said the architects. 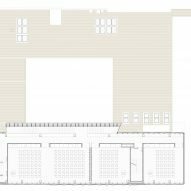 "This is an offshoot of the Iberian approach to the facade design understood mainly as a veneer – a way of protecting buildings from the sun." The hollow blocks allow daylight to penetrate into the building through glazed surfaces behind them, as well as creating a glow from within when the lights are on at night. 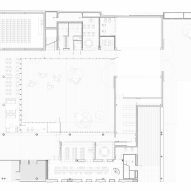 Light seeping through the blockwork produces a shifting geometric pattern of light and shadow on the walls and floors of the rooms, circulation areas and neighbouring structures that alters throughout the day. 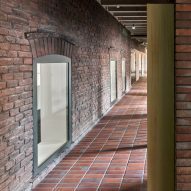 The use of the ceramic brick extends throughout the building, where it is applied to floors and walls both internally and across outdoor areas including a large central courtyard. 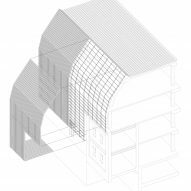 A glazed entrance carved into the main volume provides a direct route from the street through to the courtyard. 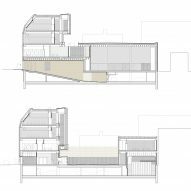 This external space helps to fuse the new structure with its historic neighbours, which are visible around its edges. A staircase that ascends the full height of the building can also be seen through a glazed wall lining one side of the patio. 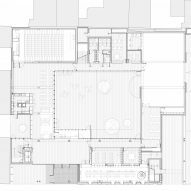 This circulation space connects all floors of the faculty and provides an impromptu meeting place for students. The staircase is accessible from the glazed entrance lobby, which also connects with a library housed in the converted historic building, and functions as a circulation hub for directing traffic between the various floors. Photography is by Jakub Certowicz.